Anthony Perez is the chief executive officer at VenueNext and is responsible for the company’s growth and operations. Prior to joining VenueNext, Anthony has spent the last 10 years with the Orlando Magic in various leadership roles. He served as executive vice president of strategy and was promoted to chief marketing officer in 2017 where he was responsible for all marketing and strategy operations. Prior to the Orlando Magic he worked in investment banking for Goldman Sachs. Anthony was named to SportsBusiness Journal/Daily’s Forty Under 40 class of 2017. 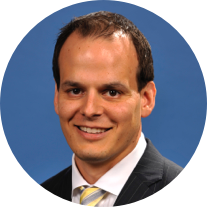 Anthony received his bachelor’s degree in finance from the University of Central Florida in 2005, and an MBA from the University of Florida in 2010.